Thanks for continuing to check out our coverage of the 2012 17th Annual Gathering of the Vibes festival. Friday started off rainy. Quite the opposite from my experience last year of being the hottest I have ever been in my entire life (record breaking 100 degree temperature with all humidity?! Makes this Colorado guy weary!) Regardless, the continuing drizzle didn’t stop any of the fun. If anything the crowd was thinner and more relaxed all day. Thursday ended up being a big night, exclusive for those who bought camping for the festival. Friday never let up in terms of energy and a general sense of musical empathy. Though I wanted to make it to the festival for David Gans, Grateful Dead Hour Host and general Deadhead guru, I regrettably did not make it to the festival grounds in time. His one-man-band sets are always a good time and anyone who has an opportunity should go and check him out. He plays festivals and more intimate venue spaces frequently. Adding onto the Dead vibe after Gans was Billy Kreutzmann’s best project since the Grateful Dead, 7 Walkers. Featuring New Orleans soul and shred guitar player Papa Mali, who made it to Vibes despite his recent health complications. And how fortunate were we to have that work out. George Porter Jr. made his second appearance at the festival after his Running Pardners performance on Thursday. Matt Hubbard accompanied the three on keys/organ who really has allowed his unique style meld well with these musical greats. 7 Walkers doesn’t read like a Furthur, Phil Lesh & Friends, or Ratdog show. Rather, it works as a forward sounding creole jazz-jam meshing and really ends up coming across as accessible, and most importantly, not another Grateful Dead tribute project. Not to say they didn’t play their fair share of classics with “Mr. Charlie”, “Wharf Rat”, and “Sugaree” all making it into the set, but they were sung with a different intent in mind that simply trying to “play dead”. The band also has some great originals written by Robert Hunter and have been working out that material on the road for nearly two years. Their festival set was stronger that the show I saw last year in Boulder, Colorado where Porter was unfortunately absent. Getting those three onstage together was a distinct pleasure to witness and hear. One of the best festival sets period is and will always be Greyboy Allstars. 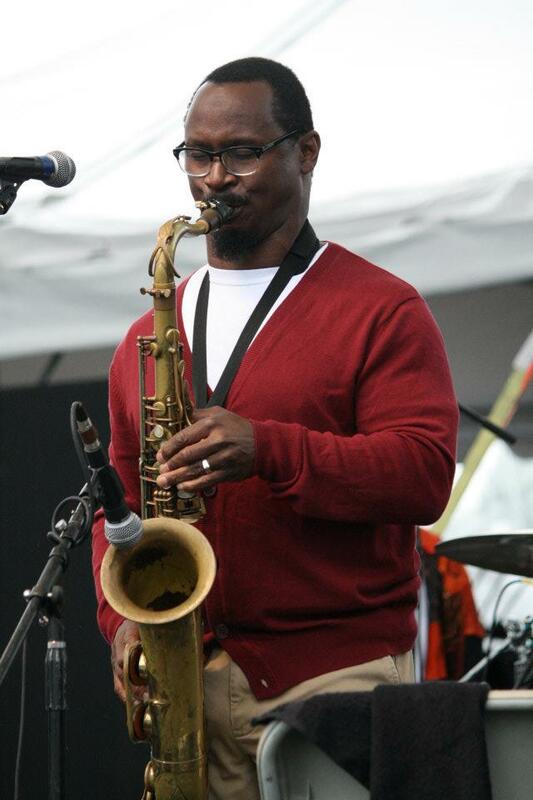 Karl Denson, saxophone, flautist, vocalist extraordinaire. He’s always got a smile on his face, unmatched energy, and a great sense of humor. Partner in crime Robert Walter on organ and keys, a favorite of the New Orleans funk scene, is always a quintessential part of this lineup. Elgin Park on guitar takes a token swing-jam approach that I distinctly recall and appreciate. Chris Stillwell on bass and Aaron Redfield on drums complete this boogaloo-funk quintet from San Diego, California that has continued to be successful and extremely musically interesting over the years. Their Vibes set was nothing short of incredible, with all five displaying their musical chops, and of course, Denson’s trademark trance-flute style always makes for memorable musical times. This was one of the highlights of the weekend thus far undoubtedly. I did sneak off right before Greyboy ended to catch some of Kung Fu’s Green Vibes stage set. The half hour of music I caught was power-packed funk fusion that immediately got the crowd engaged and moving. It was my first time catching these guys and I was glad to capture some great shots of them doing their thing right on the beach at the Vibes. Like I mentioned previous, the highest anticipatory act on the bill for me of the entire week was Bob Weir, Bruce Hornsby, Branford Marsalis Trio. “Ace” Weir, the man, the voice, the legend. 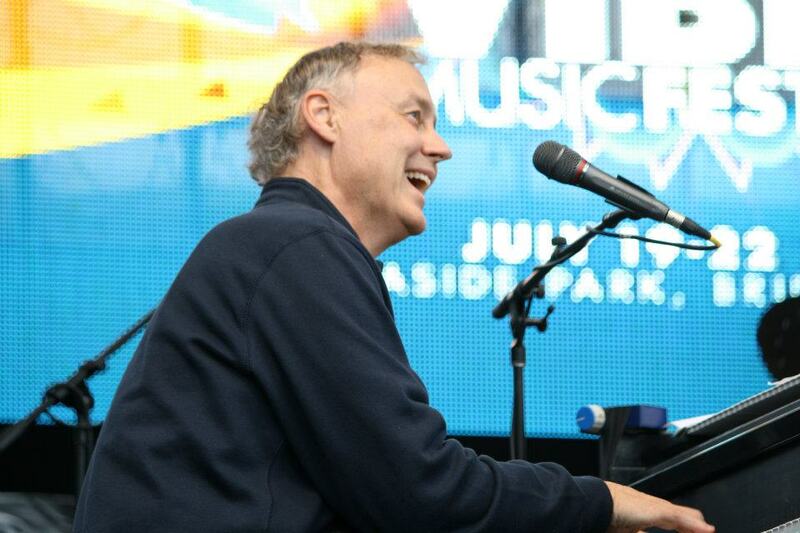 Bruce Hornsby is one of the most musically successful pianists of 20th century popular music, making his breakthrough band The Range, a staple of pop and rock music. His successful near two-year tenure with the Grateful Dead from Fall 1990 to thru Spring 1992 tour rebalanced the Dead after the tragic loss of keyboardist, vocalist, and colorist Brent Mydland in July 1990. Bruce’s style challenged Jerry, Bob, Phil, Bill, and Mickey, and alongside co-key man Vince Welnick made the Dead’s 1990-1991 performance years special and high energy. 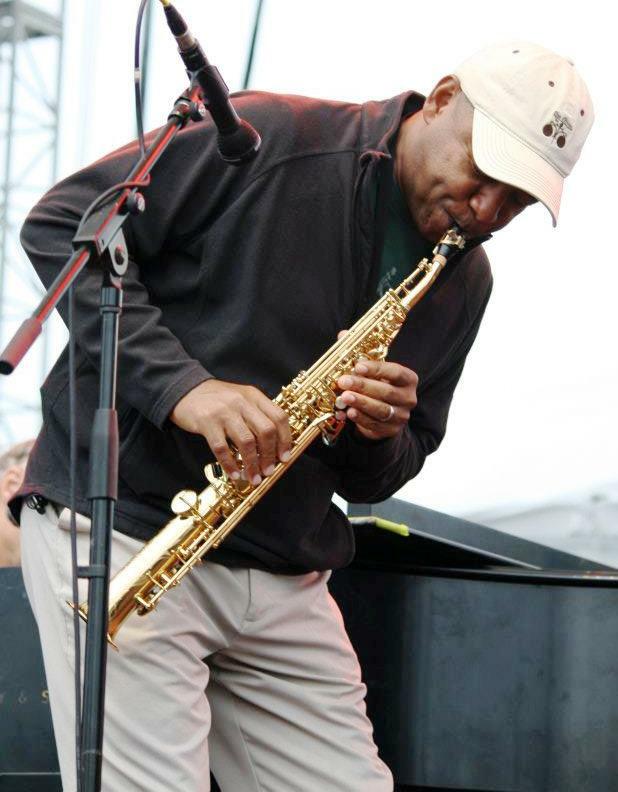 Branford Marsalis, one of the most talented sax players from one of the most prosperous families in Jazz, was asked to sit in with the Grateful Dead in 1990 at Long Island’s Nassau Coliseum on their Spring Tour. When Bob quipped to Jerry “We’ll see how he does…” before the “Bird Song-> Promised Land” set closer, Marsalis effortlessly blended into the band’s musically open and empathetic styling. Jerry in particular had a musical kindredship with Marsalis that was touching and incredibly musically successful. Branford ended up sitting in with the Dead at least five times from 1990 till a December 1994 Los Angeles show, one of their finest performances of the year. Needless to say this trio was HIGHLY anticipated but could have been musically up in the air. Though Weir and Hornsby had been playing together recently on tour, Branford had only made the duo a trio for Thursday’s All Good Festival appearance. Thankfully, the band fulfilled and exceeded expectations, playing as a trio for the first half of their Vibes set before welcoming members of the Noisemakers to finish out the set. Highlights of the trio set were a spacey “Dark Star” jam to get things going in an improvisational manor, Ratdog and Primus drummer Jay Lane’s surprise sit-in with the band for the “Me and My Uncle -> Mexicali Blues” cowboy song medley, and Bruce’s touching rendition of “Standing on the Moon”. 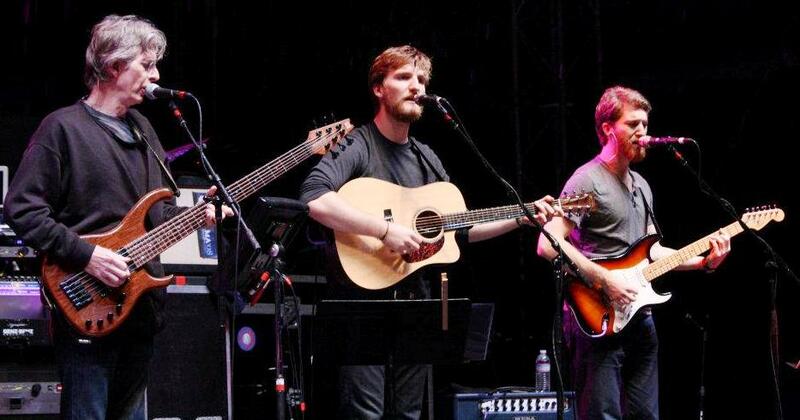 It was apparent by the end of the set that all three, having been playing in separate musical universes since their 1990s collaborative efforts as the Grateful Dead, still will always have a mutual musical understanding. 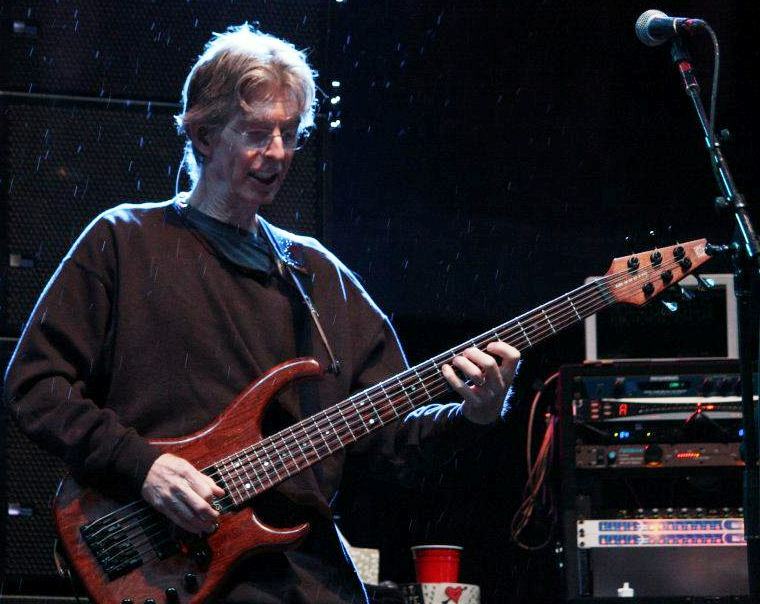 The headliner of Friday night Vibes was an unannounced lineup for “Phil Lesh & Friends”. The possibilities. With Bobby, Barraco, Billy, Porter, Bruce, and Branford all having been at the festival, so many possibilities of whom he could have played his Gathering of the Vibes reunion with. Instead he chose a new approach, letting his sons Brian and Graham, both talented guitar players, sitting in with Dad’s band. Multi-instrumentalist and all-around badass Larry Campbell and his lovely wife Teresa Williams on vocals, as well as Furthur drummer Joe Russo, and common collaborator guitar-slinger and vocalist Jackie Greene accompanied the Lesh’s. The results were generally positive, if mixed. Lesh keeping the lineup quiet until they emerged onstage leads me to wonder whether or not he wanted the high-expectation East Coast heads to make assumptions about the lineup’s potential and validity. The band did suffer slightly from crowded guitar work (four different guitars onstage, the only true “lead” guitarist being Larry Campbell), and having no keyboard player, which is a staple of Phil & Friends, and furthermore Grateful Dead electric music. The set did have highlights with a general theme of Levon Helm tribute worked into the mix with covers of “Up on Cripple Creek” and “This Wheels on Fire.” Below is the full setlist for Phil’s Vibes headlining performance. Another interesting logistical complaint I have about this set that Phil’s band played “The Other One” back to back when Weir, Marsalis, Hornsby Trio had played it right previously. Let’s at least get some continuity if you guys won’t play together! All gripping aside the Phil set was cool and his sons are actually strong musicians that will continue to develop their sound as they go along. Highlight of the day energy wise was certainly Greyboy, but the Weir, Hornsby Marsalis Trio was the special treat for all that did not disappoint. Branford also made a guest appearance in the media tent after the show and took some funny candid shots with Master of Ceremonies Wavy Gravy. He was a pleasure to have this weekend at the Vibes, and another jazz master to check off of my “have seen” list. Thanks to all artists involved for making Friday night Vibes a great time for all. Continued coverage for Saturday and Sunday throughout the weekend coming soon! Check out more photos from day 2 at Vibes.